I’ll start with a confession. I don’t like red oak. I don’t like it mostly because it was so overused in the 70’s and 80’s I got sick of looking at it. I don’t mind actually working with it. But only if I’m making parts with straight edges. Once I start rounding corners and forming arcs, you might hear me say a swear word or two. Take a look at the part below. The grain runs in the long direction. To cut out the shape, I fastened a 1/4″-thick plywood template to the blank and used a shop-made template jig on my band saw. (I’ll talk more about the band saw template jig in another post.) Cutting it this way on the band saw got me within about an eighth of an inch of the final shape. This is key to the success of the following step. Leaving the template in place, I headed over to the router table. I used a flush-trim bit to do the final shaping. That’s when the trouble began. When routing at the router table, you rout from right to left. I placed the template against the bearing on the bit and started rotating the piece counterclockwise. As I progressed over top of the semicircular shape, I was essentially routing against the grain. Chunks started flying. That piece went to the scrap bin. So I tried again with another workpiece. This time, I slowed down the feed rate a bit. This seemed to help, but wasn’t a perfect solution. So I backrouted. This means routing the piece in a clockwise direction. This requires a lot of nerve and extreme control of the workpiece. The bit wants to grab your workpiece and rip it out of your hands. But the advantage of backrouting is that there is always wood backing up the cut and this technique greatly reduces tearout and chipping. Freud’s exclusive Quadra-Cut™ 4 cutter design provides the smoothest cuts possible. 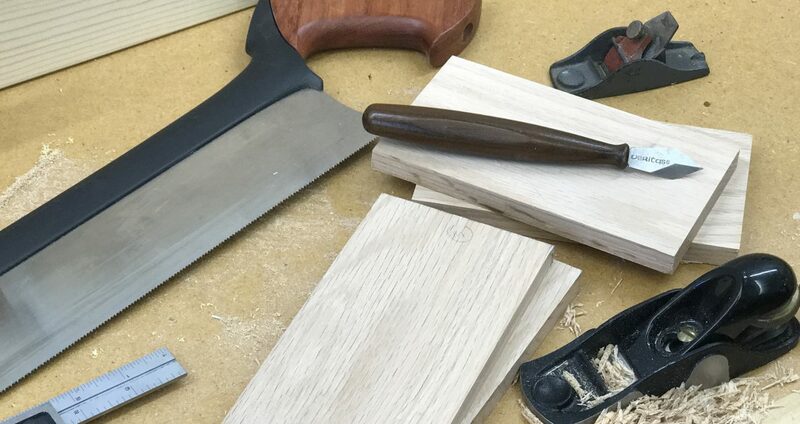 You’ll get crisp, clean edges every time, even with cross-grain cuts in difficult materials.Rounding over bit a..
It’s okay to backrout to improve your results. Just use caution. Posted on March 30, 2010 March 29, 2010 by Randy MaxeyPosted in WoodworkingTagged oak, Router, routing, technique, Tools. Previous Previous post: Time to resharpen or buy a new blade?